TIME Hotels opened its second property in Saudi Arabia at the beginning of April. 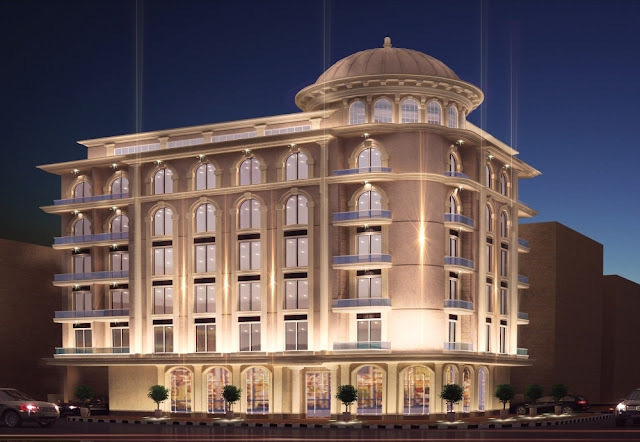 Featuring 28 deluxe apartments - comprising four one-bedroom units and 24 two-bedroom units – TIME Dammam Residence is located 35 minutes from King Fahad International Airport and just minutes from various shopping and dining destinations in Dammam. TIME Hotels will be exhibiting on stand HC0620 during this year’s Arabian Travel Market. NEW YORK, LONDON and TOKYO - Travelzoo, a global publisher of exclusive offers and experiences for members, today published the results of its Spring Travel Trends Survey, revealing that people who travel spontaneously tend to be happier and more content with life than those who don't. Almost half (49%) of respondents who self-identify as spontaneous leisure travelers strongly perceive themselves as happy, while only a third of non-spontaneous travelers say they feel happy in life. Αναρτήθηκε από geop στις 2:54 μ.μ. MIAMI – Carnival Cruise Line expands its onboard youth programming with an exclusive partnership with Zumbini offering high-energy early childhood activities and classes that combine singing, dancing and playing. · Voyages of six days or longer: 30-to-45-minute family class for children up to six years old focused on parent/child bonding. “When we realized that Zumba was transforming the fitness community and turning rigorous dance and aerobic movements into fun, approachable and sharable experiences, we saw the potential to make classes specific to families and children,” said Alberto Perlman, CEO of Zumba. Joining the China-proposed Belt and Road Initiative (BRI) would be an excellent choice for countries worldwide as it attracts joint economic development, cultural exchanges and jobs. It appeared that the most immediate profit for those who sign a BRI contract is a tourism boom motivated by Chinese tourists as peak vacation season comes. Italy is the most recent instance. The search popularity of European countries have grown 28 percent month-on-month in March, the month when it signed a BRI memorandum of understanding with China, data offered to the Global Times by domestic online travel platform Mafengwo.com showed. Italy was the first G7 member to sign a BRI agreement and also the largest economy – eighth-largest in the world – to unite with the BRI, according to media reports. 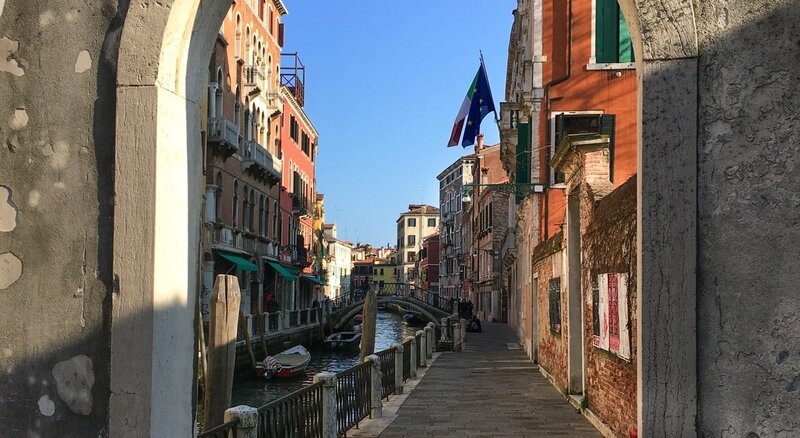 Xu Xiaolei, manager of marketing at China’s CYTS Tours Holding Co, explained that the forthcoming May Day holidays, which have been extended from three to four days by the State Council, China’s cabinet, the number of Chinese visitors are going to Italy is anticipated to grow by 20 percent compared with the same time last year. In a recent interview with the Global Times, Italian Ambassador to China Ettore Francesco Sequi, mentioned that the two countries have broad cooperation opportunities in tourism. Italy established 11 new visa centers in China in 2016, and Chinese tourists can get now a visa within 36 hours. A report from the China Tourism Academy explained that Italy is rated by Chinese travelers as the most popular destination in Europe, second only to Russia. Αναρτήθηκε από geop στις 2:44 μ.μ. Craving a city break but don’t want to break the bank? Or do you have an idea of where you want to go, but unsure of a daily budget? Travel experts, alpharooms Ireland, have analysed the most popular destinations in Europe, before calculating how long a day budget of 50 euros will last. Taking into account the average cost of food, transport, attractions and even alcohol in each city – their findings have uncovered the most purse-friendly cities to visit this year. If you’re planning a staycation in Dublin – think again. A day budget of 50 euros will run out at 3:00 pm. Surprisingly, 50 euros will go further in Rome than the popular, Benidorm. Prague is almost three times cheaper than London (which has been labelled as the most expensive destination). Antalya not only tops the list as the cheapest, but it was also the 5th most popular European destination last year, making it a cheap and cultural hub. How Long Will a 50euros-day Budget Last Across Europe? In London, your 50 euros will run out at 12:30 pm. In Rome, Dublin and Vienna, your 50 euros will run out at 3:00 pm. In Paris, Benidorm and Amsterdam, your 50 euroswill run out at 6:00 pm. In Istanbul, Prague and Antalya, your 50 euros will last all day, and you’ll still have money left over. Alternatively, for those who aren’t as restricted by a budget, alpharooms Ireland have also used the same spending factors to uncover how much the average day will set you back in each tourist hotspot. London has long boasted a reputation for expense and, for those travelling with a daily 50 euros budget to the UK capital, your budget will run out at 12:30. This is if you take into account breakfast, transport and, of course, the top-rated attraction in the city – Buckingham Palace. Food and drink prices come in as some of the most expensive, second only to Paris. To experience two of the most iconic attractions (Buckingham Palace and the Tower of London), as well as indulge with a beer during lunch and a cocktail at night, it will cost you around 117.78 euros a day. With the city welcoming over 20 million visitors in 2018 – a 4% growth on the previous year – it’s no surprise that London tops the list of most expensive European cities to visit. Both Istanbul and Antalya are in the top five most visited destinations of 2018 (considered to be European by many tourists and locals alike) – placing third and fifth respectively. They also round up our list of the cheapest destinations to visit with 50 euros per day, coming in first and third. Your budget will not run out if you choose to visit these destinations for your 2019 holiday. 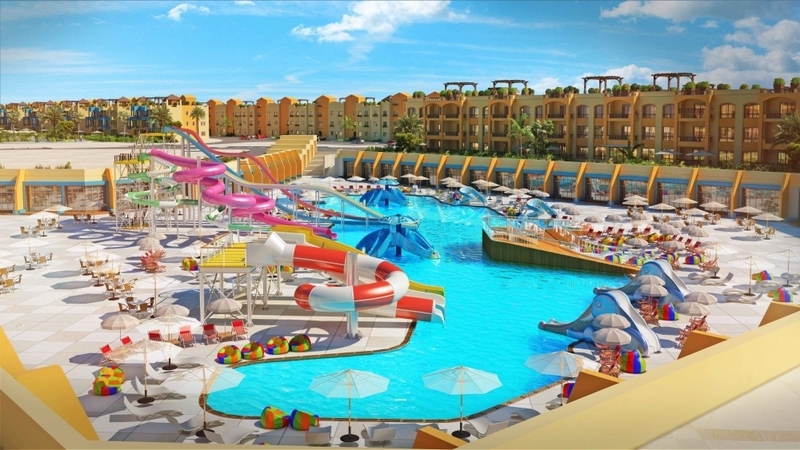 In Antalya, in particular, you can enjoy a full day of visiting the most popular attractions, exploring the squares and dining throughout the day for as little as 31 euros. The same can be said for Istanbul, costing only 43 euros for a day of experiencing the greatest sights and tasting the local cuisine – including the beer. Αναρτήθηκε από geop στις 2:41 μ.μ. The Amtrak Winter Park Express trains set records for the service, including the most riders ever, in the 2019 season. 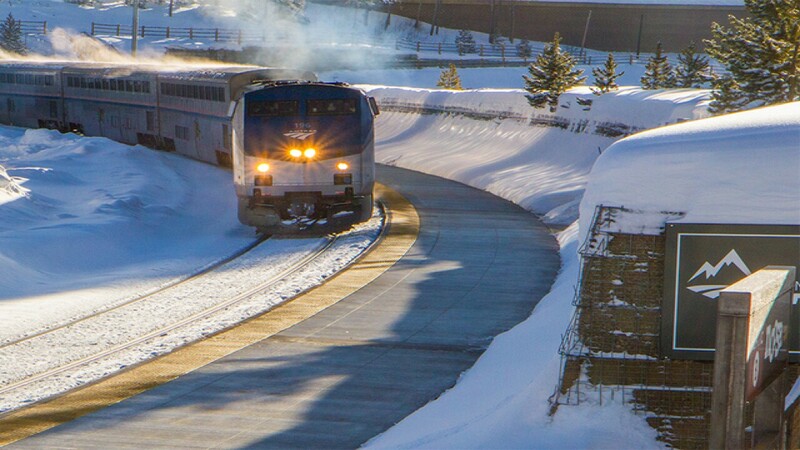 Amtrak and Winter Park Resort leaders thank customers for choosing Amtrak to avoid traffic and to enjoy new features both aboard the train and at the resort named last year “Best in North America”. More than 19,200 tickets were purchased for 32 round-trips for the season that ended last month, an increase of about 7% from the 2018 season and 8% from the inaugural season in 2017. More than 52,000 guests have taken the service in the partnership between Amtrak and the resort. For the first time, Winter Park Express customers had snack and beverage service using a Superliner® Sightseer Lounge Car with windows that start at the floor level and wrap into the ceiling of the railcar. Once they arrived, customers enjoyed more than $30 million in capital investments at the resort that included a new 10-person gondola, upgraded snowmaking and a new base-area plaza. Another new lift is coming next season. Αναρτήθηκε από geop στις 2:36 μ.μ. 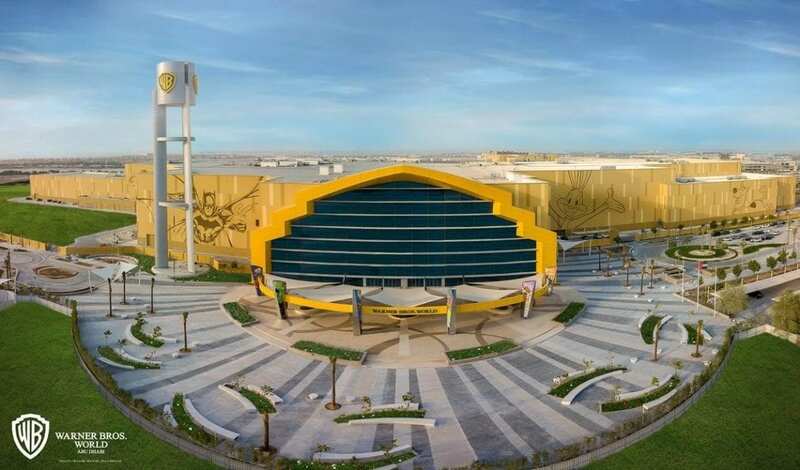 Graham Cooke, Founder, WTA, said: “We are deeply honoured to host our Middle East Gala Ceremony at Warner Bros. World Abu Dhabi, an enthralling new addition to Abu Dhabi’s incredible roster of tourist offerings." Αναρτήθηκε από geop στις 2:32 μ.μ.